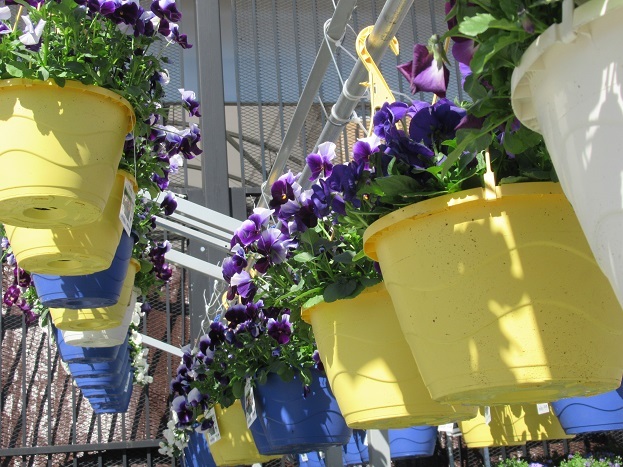 The spring season is afoot at The Home Depot, the plant tables are filling up with perennials, annuals and the happy, pansy hanging baskets are dripping with the bold colors of the new season. Spring Black Friday deals are still running and customers, although dressed in fleece and parkas, are embracing the season! Look at these lovely women, a team of mother and daughters that start each season at the West Roxbury, Ma. Home Depot. 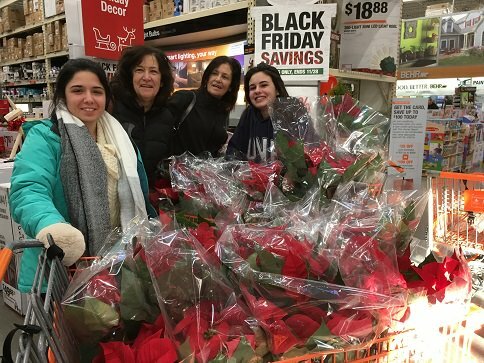 We come every year for the buy of the season” and they arrive early, the daughters do not even question the schedule anymore, I bet they will carry this tradition on with their kids some dayJ Pansies or poinsettias this is a winning, early bird team. 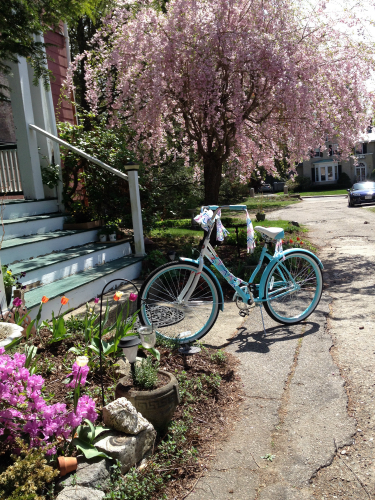 I love Weeping Cherry Trees, the gorgeous, springtime fountain of blooms has a magical, fairy garden appeal, and the tree is adored by the young and the old, and when the tree is in bloom it can stop a passerby in their tracks, the tree is a showstopper. Along with rose bushes, a weeping cherry tree is the most sought after plant for a Mother’s Day gift. The interest in the Weeping Cherry Trees has been on going, the exceptional pricing makes the early spring bloomers a must have! 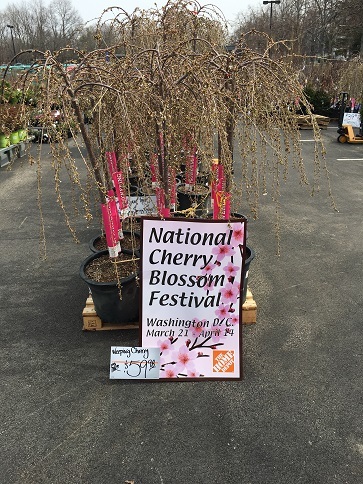 A customer told me that she has always wanted a weeping cherry tree, "it is on my garden wish list, at this price I am going to plant my dream garden”! 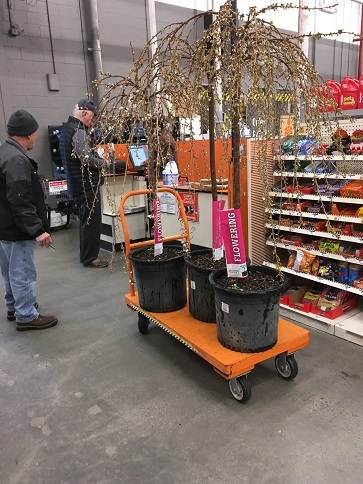 This happy customer came into the store as soon as we opened (before the garden gates had been raised) to purchase his trio of weeping cherries, he was so excited, “I already have the holes dug,” he said. Offering such amazing deals with quality plants we have jump-started the season! 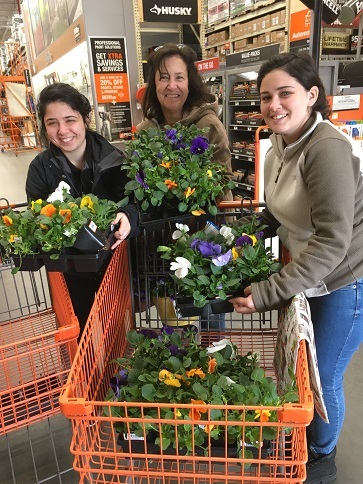 So zip up your fleece, carry an umbrella and put on a smile because the deals at your local Home Depot are going to make you beam with springtime happiness! 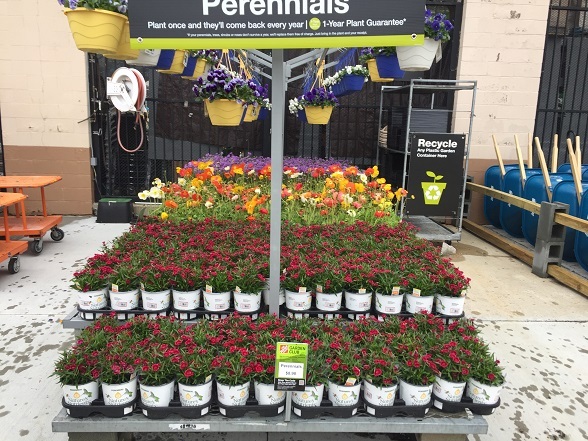 “April showers bring May flowers” don’t wait until May, create your own sunshine now, plant your dream....Stop by your local Home Depot for some inspiration!